Corporate Living takes sustainability efforts seriously. We are committed to continuously challenging ourselves to make a positive impact in and on our community. Whether it’s our recyclable shopping bags used in NYC, partnering with the local library to help provide after school snacks for children in need, donating our old computers, monitors and printers to an organization that finds uses for all of them, or simply working with our office supply company to recycle toner cartridges, we strive to give to back to the communities that support us. Our commitment takes many forms and we work be as eco-friendly as possible. We are taking steps to be environmentally conscious today. We make decisions with our environment and our community in mind. We believe that early education is the best investment for a child’s success, and we want to help facilitate bright futures. Corporate Living is proud to support the Cuyahoga County Public Library and its food programs for children in need. CCPL’s program helps ensure kids don't go hungry over the summer when free school lunches aren't available. 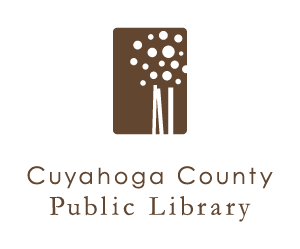 Cuyahoga County Public Library is committed to its mission of being at the center of community life by creating an environment where reading, lifelong learning, and civic engagement thrive. The primary mission of PCs for People is to get affordable computers and internet access into the hands of low-income families and individuals. A home computer and internet access are a necessity today. Homework, research, and college and job applications require these tools. Studies show that having a computer and ready access to the internet in the home leads to higher graduation rates, long-term employment, and a higher standard of living. PCs for People refurbishes donated desktop and laptop computers for distribution to eligible recipients.